Together with CAQ candidate for Ungava, Denis Lamothe, François Legault vowed to make cutting rights, forest management and forestry support programs more predictable. “Québec’s forest industry represents 58,000 direct jobs. The livelihood of over 200 municipalities in the province depends on forestry and Québec exports generate more than 10 billion dollars in revenues each year. That the Liberal government does not have a mid or long-term vision for the development of this sector is simply irresponsible!” the CAQ leader said. 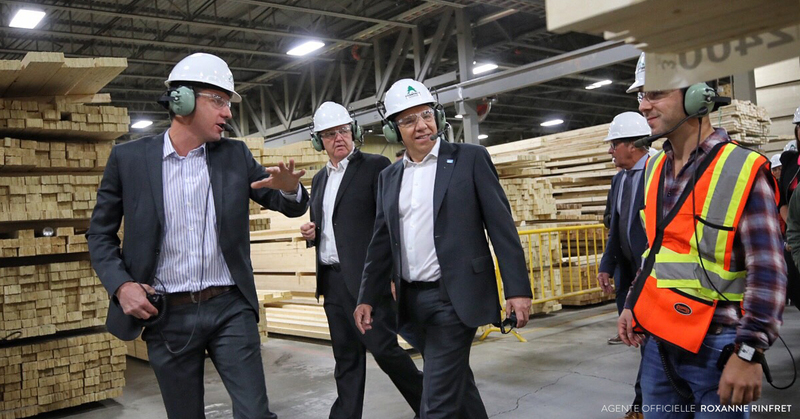 Furthermore, François Legault intends to promote the use of wood in construction, by including wood products in public tenders. He will also rely on the expertise of Investissement Québec to encourage forest product exports. “We have to boost productivity, increase the use of wood in construction and grow our exports. This is exactly what a CAQ government will do!”, Legault cried out enthusiastically. The CAQ leader also wants to enhance civil servant presence in resource regions to increase cooperation with industry and better determine cutting and forest management strategies. Last, a CAQ government will defend and protect the interests of logging industry workers and companies in all international negotiations. “The Liberals have been in power fifteen years and if we want things to change in Québec, if we want to do more and to do better for our forest industry, we have to start by replacing this government. The only party that has the team to defeat the Liberals and form our next government, is the CAQ”, he said.